When any of my sales candidates come in to register with HRC, I always take time to talk them through their CV and offer any pointers where needed. 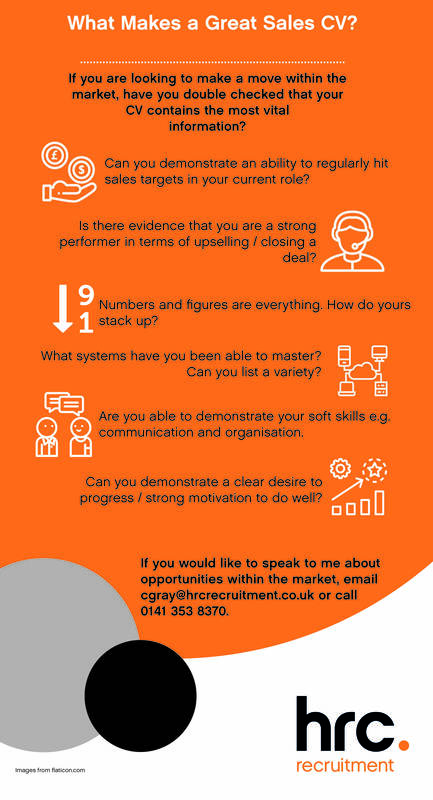 Take a look at the infographic below for my top CV tips. Click here to get in touch with me to discuss available opportunities.